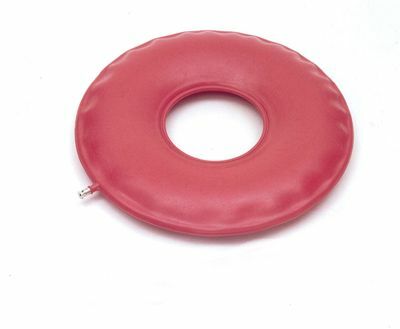 Cushion Ring Inflatable Rubber Relieves Pressure Sores. Ideal for providing increased comfort whilst sitting. The cushion moulds itself to the body contours and can assist in preventing or relieving pressure sores and coccyx problems. The ring can be easily inflated by mouth. Very happy with this, quick delivery .